World Class Music on the Costa del Sol. Stay at El Oceano Hotel. Music, gigs and entertainment on the Costa del Sol in 2019 – here are just a few more reasons to make El Oceano your base for the perfect luxury holiday in Spain! If you’re new to Starlite, read on, we think you might like it! Special highlights in May and June! a luxury break with world-class show! Your Luxury Holiday Hotel and World Class Concert! ‘Big’ names in entertainment regularly visit the Costa del Sol, particularly to the fabulous Starlite Marbella annual event! Spain is, without doubt, a place for live music! This year sees a visit to Fuengirola’s Sohail Castle the legendary Bob Dylan, plus The Beach Boys, Il Divo and Supertramp’s Roger Hodgson!! 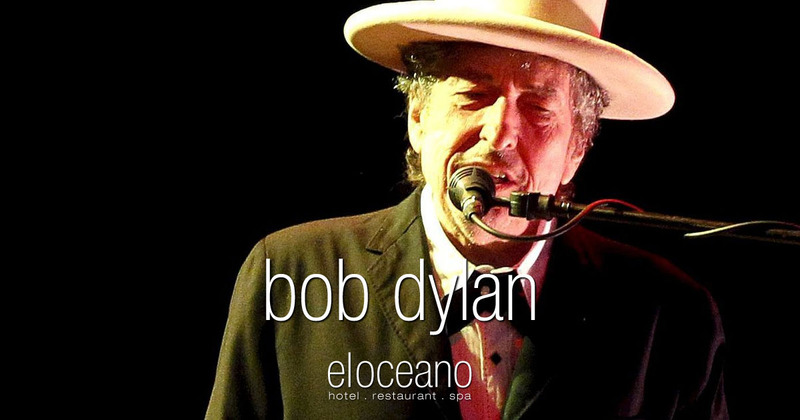 Bob Dylan’s appearance at Fuegirola Castle is the perfect excuse for a long weekend of luxury and a truly world-class show! Bob appears on Saturday the 4th of May and your long weekend between Friday the 3rd and Monday the 6th would be a very special weekend indeed! After the success of the critically-acclaimed “44/876” concert with Shaggy at Starlite 2018, this time Sting will be performing his latest tour My Songs, at Starlite 2019. A rollicking and dynamic show focusing on his most beloved songs written and spanning the 16-time Grammy Award winner’s prolific career with The Police and as a solo artist. The Starlite audience will be able to hear “Englishman In New York”, “Fields Of Gold”, “Shape Of My Heart”, “Every Breath You Take”, “Roxanne”, “Message In A Bottle” and many more, with Sting accompanied by an electric, rock ensemble. 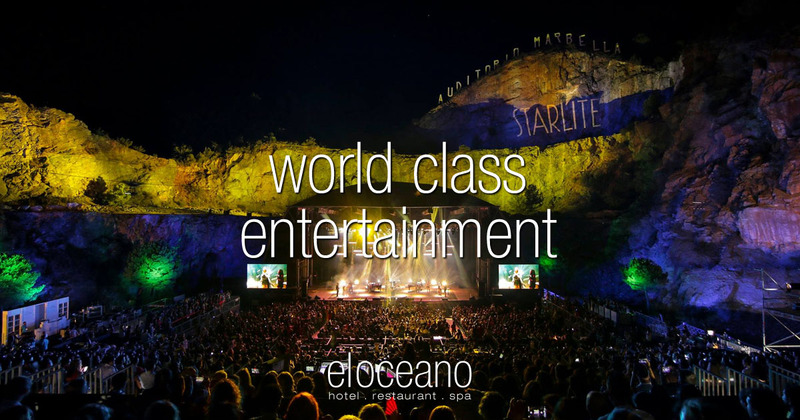 It will be a unique opportunity to witness one of the world’s most distinctive solo artists in Starlite 2019, while staying at the simply perfect El Oceano Hotel! reserve your luxury accommodation for the gig! 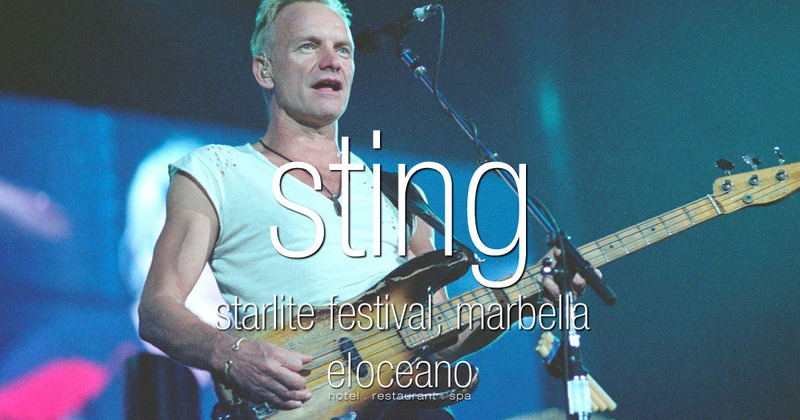 The annual Starlite Festival is a huge annual event, held in Marbella in July! So many world-class acts are performing – we’ll be bring more news soon – but today, we’re talking about legendary Californians, The Beach Boys!! The Beach Boys will be performing on Thursday the 11th of July! Your luxury holiday in Spain! 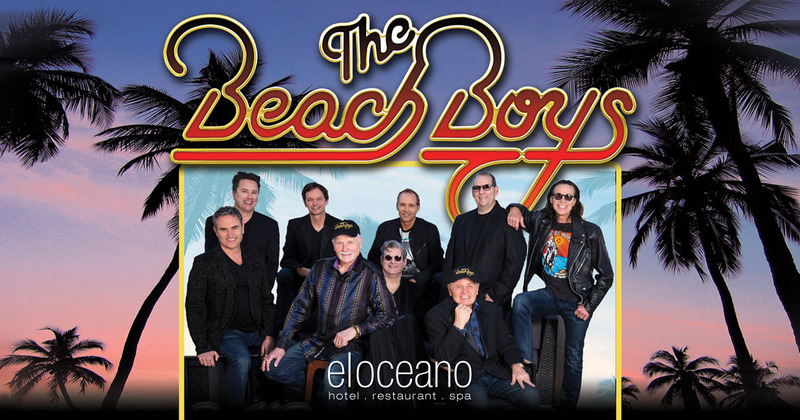 Stay at El Oceano Beach Hotel when you come over to see The Beach Boys!! World class entertainment with world class accommodation!! The Beach Boys return to Starlite 2019, after last being here in 2014, on Thursday, July 11th with their latest tour, “Now and Then”. The Beach Boys, led by Mike Love and Bruce Johnston, who, along with Jeffrey Foskett, Tim Bonhomme, John Cowsill, Keith Hubacher, Christian Love and Scott Totten continue the legacy of this iconic American band, will share with the audience a torrent of hits that have made them ambassadors of the Californian way of life. After their debut over 50 years ago, The Beach Boys have continued to create, perform and have fun with the same bold imagination and style, spreading all over the world hits such as: “Surfin’”, “Fun, Fun, Fun” or “Good Vibrations”. For them, the beach isn’t just a place where the surf comes to play, it’s where life is renewed and made whole again. Few acts can match The Beach Boys’ spirit and performance, and therefore it will be with no doubt a very special night at Starlite 2019. Book your Starlite tickets here!! And make sure to book your room or suite at El Oceano – the best beach hotel on the Marbella coast!! More Costa del Sol Features in 2019! Arrive on Friday and enjoy dinner in the restaurant accompanied by singer Eva Ruiz. Saturday, enjoy a leisurely breakfast with a view you’ll remember for a long time, then head out to explore La Cala de Mijas, perhaps! Saturday night with legendary Bob Dylan. On Sunday, you’ll be invited to the Sunday Experience!! A wonderful Sunday meal, with live entertainment all afternoon and, after retiring to the terrace, more entertainment outside! Monday, it’s a little sad to be leaving, but we’re sure you’ll be back! Bob Dylan at Fuengirola Sohail Castle! Saturday 4th May 2019. For the first time in 20 years, Bob Dylan will be performing in Fuengirola Sohail Castle on the 4th of May! The musician, composer, singer will appear at the Marenostrum Castle Park of Fuengirola, high on the hill overlooking the sea – a venue quickly becoming an obligatory stop on any international tour! It really is breathtaking! Limited to around 5,000 seats, it’s going t be a fantastic event!! Book your Bob Dylan Tickets. Rod Stewart at Fuengirola Sohail Castle! Wednesday 3rd July 2019. Another outstanding name joining us on the Costa del Sol this year!! Legend Rod Stewart will packing them in at now world-renowned Marenostrum Castle Park! 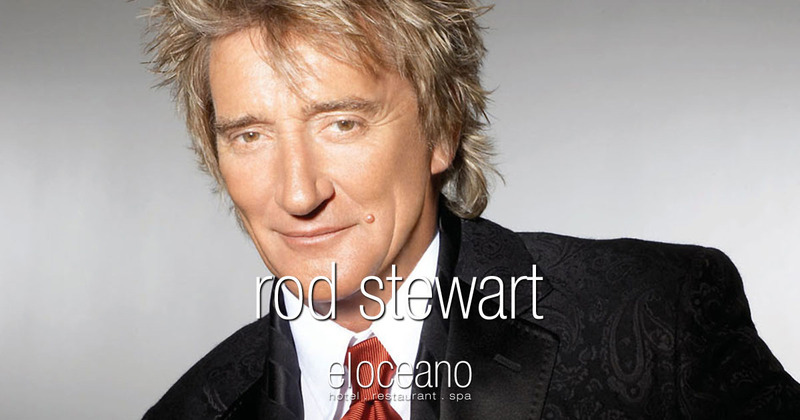 The incredible Rod Stewart will return to Spain this coming July! The former vocalist of The Faces, Rod will appear on July 3, 2019 at the Marenostrum Music Castle Park, in the Loma del Castillo Sohail, surrounded by the fortress itself with its amazing views! This is a gig to remember!! Book Rod Stewart Tickets here! 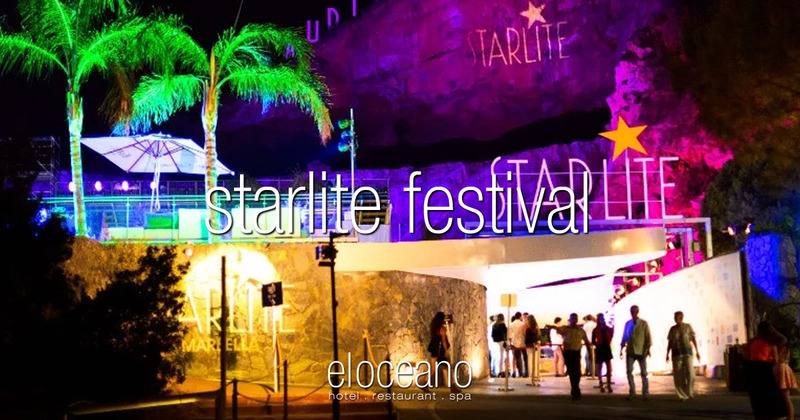 If you’re new to it, the Starlite Festival is an annual international music festival based in a natural outdoor space inside the quarry of Nagüeles, in Marbella. Recognised as an important event throughout Europe, Starlite has a daily programme that includes music, fashion, art, film and gastronomy. The auditorium only seats around 2,200 so is intimate offering the audience lives a unique experience with the stars. According to Wikipedia, Starlite also dedicates one night to philanthropy celebrating Starlite Gala, hosted by Antonio Banderas, which has become the largest charity event in Spain. Supertramp’s Roger Hodgson! 20th July, 2019.